Vegan Plant Booster. 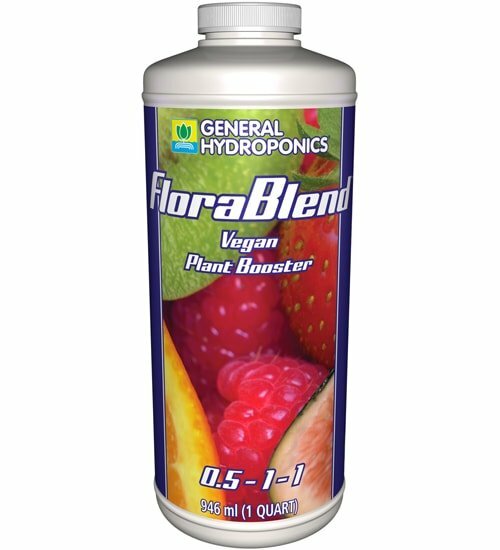 General Hydroponics FloraBlend is a compost tea that is fermented from a select blend of plant materials plus seaweed and rock powders. 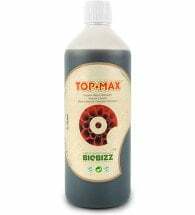 This highly soluble organic solution increases and promotes healthy root structures, builds the plant’s immune system and provides carbon building blocks for plant processes responsible for color and flavor of fruits and vegetables. 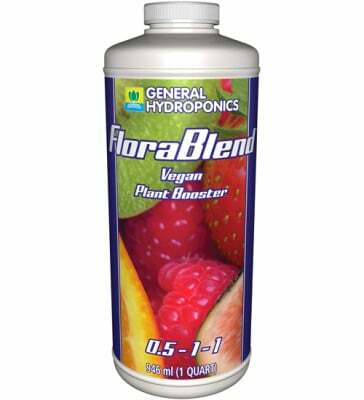 Flora Blend contains NO animal derived ingredients. 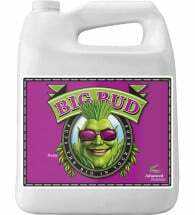 Apply during germination, with cuttings, plus the vegetative, flowering and ripening stages of plant growth. Soil: Add 1 to 2 tsp per gallon of water, then apply according to your normal watering schedule. 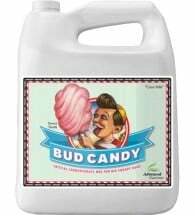 Hydroponics: Mix your usual nutrient solution and then add 1-2 tsp per gallon. 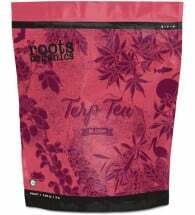 Ingredients: Alfalfa meal, brewers yeast, cottonseed meal, potassium sulfate, rock phosphate, sea kelp and soybean meal.